Increasing cultural awareness and connections. Supporting the district mission and assist in closing the achievement gap. Supplementing and enriching curriculum with culturally-relevant and authentic learning resources. Providing staff professional development opportunities related to American Indian Studies and the education of American Indian students. Resources that provide educators critically analyzed, accurate, and authentic information for teaching students about tribal sovereignty and the history and culture of the Wisconsin's First Nations. Promotes educational opportunities for American Indian people in Wisconsin through a unified effort of Indian and non-Indian members interested in the social and economic advancement of American Indians. WI Act 31 Resources - This state policy required education of students on Wisconsin American Indian history, culture, and tribal sovereignty. The State budgetary funds appropriated to accomplish this are used to hire staff, develop curriculum, and obtain/develop classroom resource materials, provide teacher training, and hold conferences and workshops to promote and support American Indian Studies in Wisconsin public schools. American Indians in Children's Literature (AICL) - Debbie Reese, an enrolled member of the Nambe Pueblo Tribe and currently a professor, developed this blog to provide critical perspectives and analysis of indigenous peoples in children's and young adult books, the school curriculum, popular culture, and society. The site Includes links to book reviews, Native media, the top 10 books for elementary, middle and high school students as well as critiques and information on newer and older books. 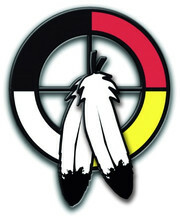 Oyate – A Native organization that provides critically evaluated Indian themed literature and learning materials for children, youth, and their teachers. We are here to support your children and their educational success. Please feel free to contact the program coordinator if you have any questions or concerns regarding your children’s academic or cultural needs. Your input is appreciated and essential.